That’s in reference to my husband Shannon’s affinity for rosés — dry ones, whether they’re from as far away as Provence or as nearby as Traverse City or Jackson or Berrien Springs. He’s the one who got me into rosés, just like he’s the one who got me into most wines. If I get stuck in a rut, I need look no farther than my kitchen counter for a chance to try something outside of my wine comfort zone via whatever Shannon’s drinking. In the days when I was less enthusiastic about rosés, I asked Shannon what he saw in them, as if they were potential romantic partners. Over time, rosés have indeed become the quintessential springtime wines to me: a fitting interlude between the heavy reds of winter and the crisp whites of summer. Unfortunately, I find in our tasting rooms that the not-so-long-ago adoration of white zinfandel has now come full circle, manifesting in a backlash against all wines pink in hue. As soon as a guest spots the word “rosé,” he or she equates it to an over-sweet blush — even if it’s listed under the dry wines. This blind distaste has many would-be rosé lovers missing out. Yes, there are plenty of sweet Michigan rosés out there, but their sweetness alone doesn’t mean they’re as bland or cloying as a typical, bottom-shelf white zinfandel. And there are a plethora of delicious semi-dry and dry versions just waiting to be discovered. A whirlwind primer in rosés: The traditional method of producing rosés involves leaving the juice in contact with the grape skins for a longer period than whites, but shorter than reds. That way, some of the color and some of the body — to varying degrees, depending on the extent of the contact — remain. In Michigan, pinot noir and cabernet franc rosés are common; Chateau de Leelanau’s Cabernet Franc Rosé was named the Michigan Wine Competition’s Best in Class Rosé in 2014, and St. Ambrose Cellars’ Vin Gris from pinot noir nabbed the title last year. There also are countless blends. At Brys Estate, also on the Old Mission Peninsula, winemaker Coenraad Stassen uses cabernet franc, merlot, and pinot noir to craft the winery’s Signature Rosé. Indeed, for Stassen, rosé transcends seasons. “Rosé, for me, has become more of a year-round enjoyment, very similar to the sparkling movement happening at the moment,” he says. Stassen’s personal favorite rosé pairings are sushi, paella, pâte, brie or goat cheese, fresh summer fruits, and grilled meats. For Joseph Allerton, a certified sommelier and general manager at Michael Symon’s Roast in downtown Detroit, rosé screams for seafood — like bouillabaisse or octopus — as well as spring-y Caesar salads. Rosés get Justin King dreaming of warmer days. Chachulski adores rosé with spring produce, like garlic scapes, ramps, peas, and radishes. “I think I like dry rosés so much because they are so versatile,” Chachulski says. “While I prefer red wine, sometimes it just doesn’t work for the situation — like when it’s warm out, or I’m eating something with a little spice or has bright, fresh flavors. 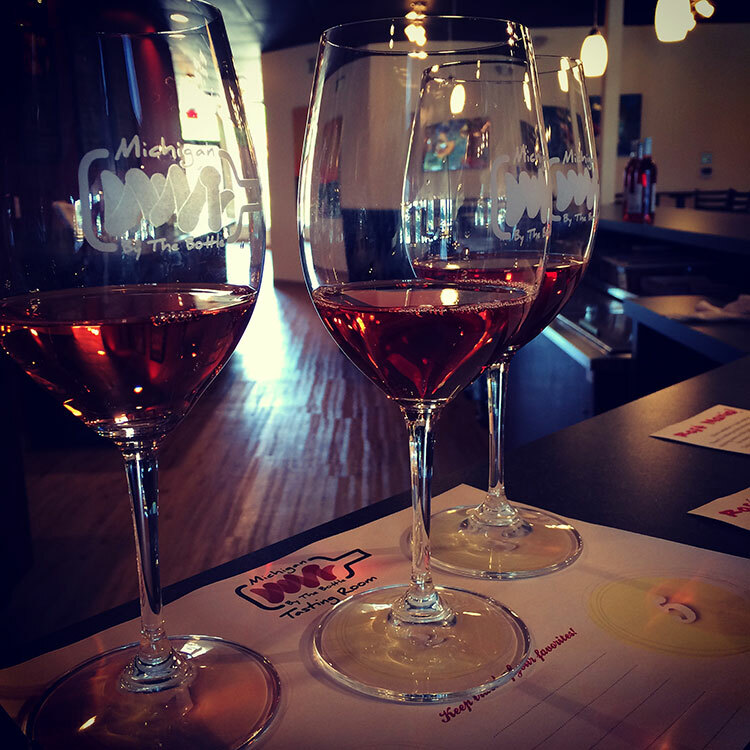 What are your favorite Michigan rosés? Comment below! Cortney Casey is a certified sommelier and co-founder of MichiganByTheBottle.com, a website and online community that promotes the entire Michigan wine industry. She’s also co-owner of Michigan By The Bottle Tasting Room, operated in partnership with multiple Michigan wineries, located in Shelby Township, Royal Oak and (coming in Summer 2016) Auburn Hills. Contact her at cort@michiganbythebottle.com.